We are seeking two apprentices for the 2012 season to participate in all aspects of work that the farming season brings, from seeding to bed prep, greenhouse management, irrigation set-up and operation, crop maintenance, harvesting and livestock care. We are also open to providing education on business and crop planning if apprentices are interested. 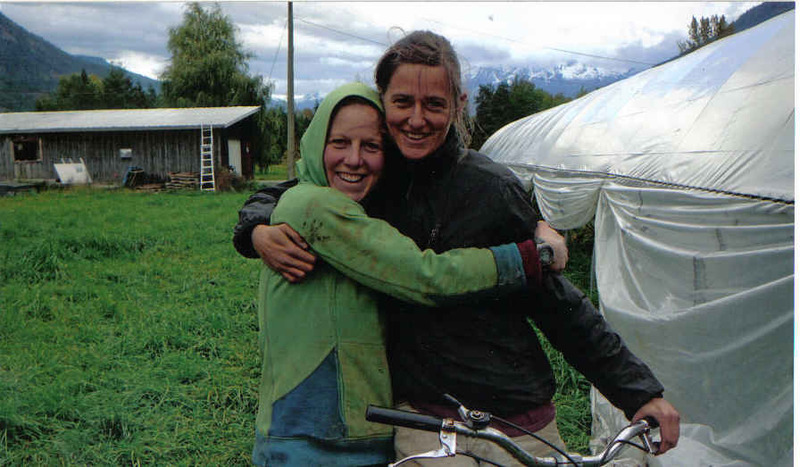 Simone and Sarah have both been farming for 6 years each and are going into their 4th year of operation of Rootdown. Sarah has a background in nutrition, while Simone has a background in outdoor education. We are located 13km’s from Pemberton town, which is a lively community and has all amenities. The area is blessed with mountains, lakes and rivers, which provide endless opportunities for hiking, camping, canoeing, swimming and biking. Our farm is bordered by the Ryan River and has two large beaches for downtime and swimming. Accommodation is provided in our large trailer, which comes complete with a full kitchen. We are ideally looking for a couple or a pair who would not mind living in the trailer together but would also be interested in a single person. We can offer a monthly stipend for each apprentice with a bonus at the end of the season. Farm vegetables, eggs and most staples will be provided. The duration of the apprenticeship will be from May to October.